The Magical Harold Acton Library. | In Florence. A Firenze. The Magical Harold Acton Library. If you’re a lover of books, and beautiful libraries, then this is a place for you. 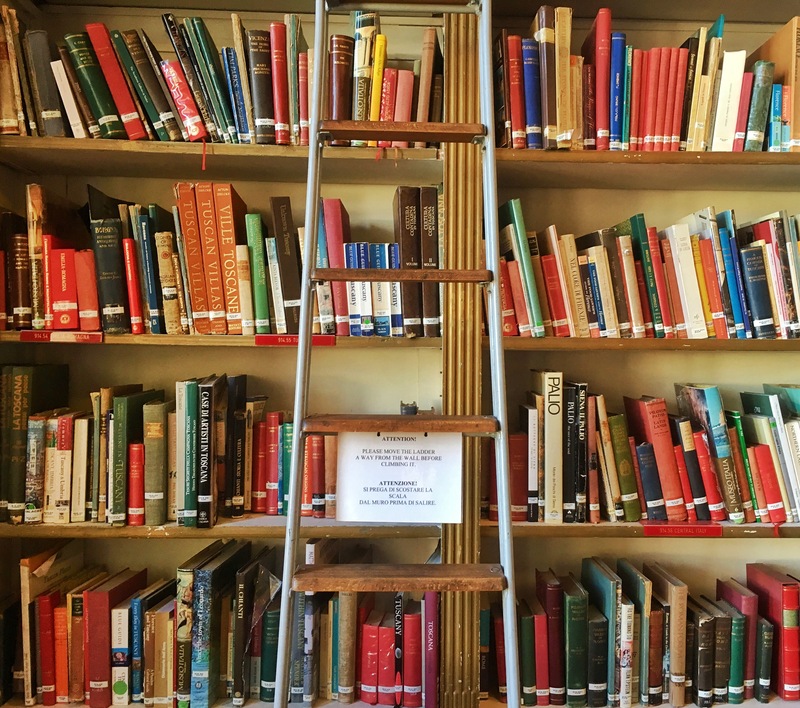 The Harold Acton Library is owned by The British Institute of Florence, and sits just on the banks of the River Arno, that runs through the heart of the city. I visited very briefly a year ago, and instantly fell in love with the place: I was determined to find a way to come back. As you enter into the library, you’re greeted with a cosy set up of arm chairs, newspapers, magazines, and warm-lit lamps that cast everything in a golden glow. The reception desk is also in here, and the lovely staff are there to help with any queries you may have, be them book locations or membership requests. This space is perfect if you have some reading to get done, but you want a little bit of company, as there are also one or two people doing the same. If you’re looking for a more studious spot, head through the doors built into the bookcases on your left, and you’ll enter into the main library space (featured in the cover picture of this post). The room has wonderfully high ceilings, which are met on every side by floor to ceiling bookcases, packed with all manner of books. This room is generally much quieter, apart from when it hosts the Cultural Programme and Talking Pictures events on Wednesday evenings, and Thursday’s Afternoon Tea. Again, it is filled with all manner of chairs, but it also has a large table to work at. The view isn’t bad either, as the large windows frame the Arno and the Palazzo Corsini on its opposite’s side. The library is beautiful, but I get that this may be distracting for some people who want to get some serious work done. If you count yourself as one of these, head downstairs. This takes you in to the room pictured below, full of proper desk spaces, fitted out with plug sockets and computers. There is plenty of space for all your working needs, and it is always peaceful down here. Even if you’re not looking for a study spot, the library is worth a visit anyways.